Two-time Peabody Award-winning, three time DuPont Award winner and seven-time Emmy winner, filmmaker Ric Burns and the youngest female principal dancer currently on The American Ballet Theatre’s roster, 28 year old Isabella Boylston join Halli at her table on The Halli Casser-Jayne Show, Wednesday, July 22, 3 pm ET to talk about the 75th anniversary of The American Ballet Theatre and Burns’ new film The American Ballet Theatre: A History. Best known for his series, New York: A Documentary Film, which premiered nationally on PBS, Ric Burns has been writing, directing and producing historical documentaries for over 20 years, since his collaboration on the celebrated PBS series The Civil War, which he produced with his brother Ken and co-wrote with Geoffrey C. Ward. Since founding Steeplechase Films in 1989, he has directed some of the most distinguished programs in the award-winning public television series, American Experience, including Coney Island, The Donner Party, The Way West, and Ansel Adam. Isabella Boylston was born in Sun Valley, Idaho and started taking dance classes at the age of 3. She studied ballet at the Academy of Colorado Ballet and at Harid Conservatory. When she was 14, she won the gold medal at the Youth American Grand Prix competition. At the age of 17, she was spotted by the director of the prestigious ABT studio company and invited to come to New York City and begin a career at American Ballet Theatre. She was promoted to soloist in 2011 and principal dancer in 2014. She is the recipient of the Clive Barnes Award, the Princess Grace Award, and the Annenberg Fellowship. She has appeared as a guest star with companies around the world including the National Ballet of China. A look at The American Ballet Theatre: A History through the lens of award-winning filmmaker Ric Burns and prima ballerina Isabella Boylston Wednesday, July 22, 3 pm ET on The Halli Casser-Jayne Show. She’s a multiple Tony, Emmy, Obie, and Drama Desk Award winner, a Broadway icon, a film star and plays the hysterical character Joyce Flynn on the critically acclaimed long-running sitcom Mike & Molly. And she is the author of a brave and riveting memoir PART SWAN, PART GOOSE. She is actress Swoosie Kurtz and she’ll be joining Halli at her table on The Halli Casser-Jayne Show, Wednesday May 6 at 3 pm EDT. With a name like Swoosie she was destined to lead an interesting life. From her first appearance on The Donna Reed Show to her Tony Award-winning roles in Lanford Wilson’s Fifth of July and John Guare’s The House of Blue Leaves to her much-heralded turns on television series Sisters, Pushing Daisies and Mike & Molly, Swoosie has been embraced by critics and fans alike for her quirky, heartfelt, and always attention-getting performances. Born to become a stellar success, Swoosie is the only child of Frank and Margo Kurtz. Her father was an Olympic diving medalist and one of the most decorated aviators in American history. Her mother, nearing 100 years old is an accomplished, opinionated, and filled-to-bursting personality. 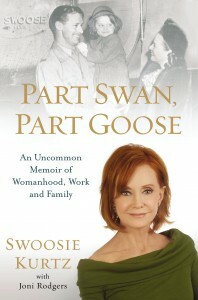 The fascinating and accomplished Swoosie Kurtz visits The Halli Casser-Jayne Show, Wednesday, May 6, 3 pm ET. For more information visit Halli Casser-Jayne dot com. Let’s talk. You might not know his name, but you’ve seen his face a thousand times on both the big and small screen because Stephen Tobolowsky is one of America’s most prolific Hollywood character actors. 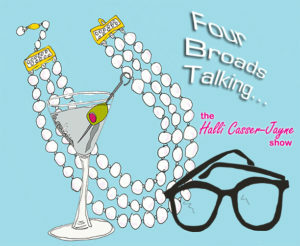 But you will recognize the voice of some of your favorite characters, and the storyteller behind the popular podcast “The Tobolowsky Files” when Mr. Tobolowsky joins Halli at her table on The Halli Casser-Jayne Show, Wednesday, February 11 3 pm ET. Stephen Tobolowsky is everywhere, having appeared in productions that range from TV’s Californication, Glee and The Goldbergs, and on the big screen in such celebrated films as Mississippi Burning, Thelma and Louise, Basic Instinct and Ground Hog Day in the part of the annoying but endearing insurance salesman Ned Ryerson, playing annoying characters his trademark. 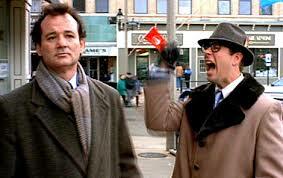 And still Tobolowsky is so much more. As a dazzling storyteller and writer, he has earned a devoted fan base for his original stories recorded in the popular podcast: The Tobowlowsky Files. He was nominated for a Tony Award for Best Performance by a Featured Actor in a Play for the 2002 revival of Morning’s at Seven. 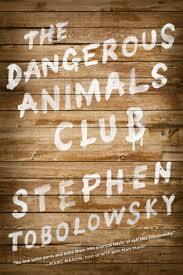 He is the author of THE DANGEROUS ANIMAL CLUB, the book billed as a “creative mitzvah, a work of art, and a narrative feat that combines biography and essay.” But that’s not all. In March he will be joining the cast of Comedy Central’s new series Big Time in Hollywood Florida, executive produced by Ben Stiller. 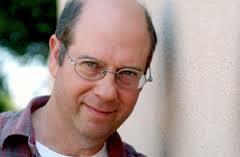 Actor, writer, podcaster, director, producer Stephen Tobolowsky, the guest for the hour on The Halli Casser-Jayne Show. Let’s talk Wednesday, February 11, 3 pm ET. For more information visit Halli Casser-Jayne dot com.